TFC Douglas C. Lancelot chronicles the history of the program in text and numerous photos. The 8X10 paperback contains 428 pages. Black with pewter CSP badge, seat belt cutter and window punch. 7.75 inches overall length. 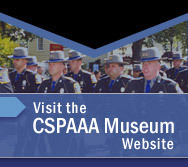 "Connecticut State Police" laser engraved on the blade. 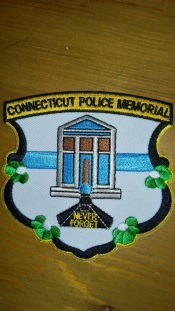 This blue and gold embroidered Connecticut State Police patch, can be sewn onto articles of clothing or kept as memorabilia. This dark blue and gold embroidered, diamond shaped State Police patch can be sewn onto an article of clothing or kept as memorabilia. 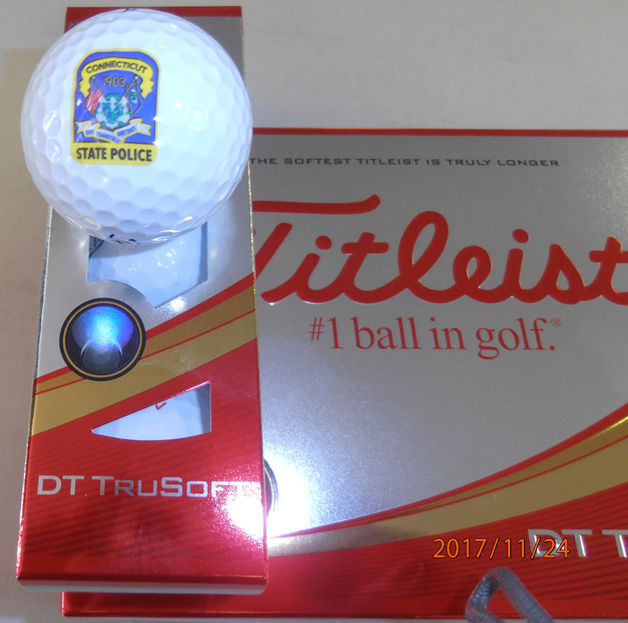 Distinguish your golf balls from everyone else on the green with these CSP logo marked Titlest balls. 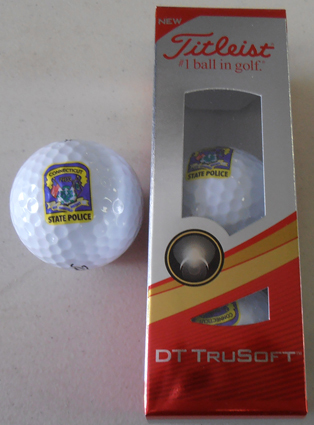 Distinguish your golf balls from everyone else's on the green with these CSP logo marked Titleist balls. 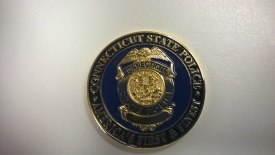 Convey your loyalty for Connecticut State Police with this CSP Badge Pin displayed on your lapel.